The Optical Society (OSA) seeks an SPS intern to assist in the development and research of professional development programming targeted toward our student and early career members. Programming would include face-to-face and virtual engagement opportunities to reach members around the globe. 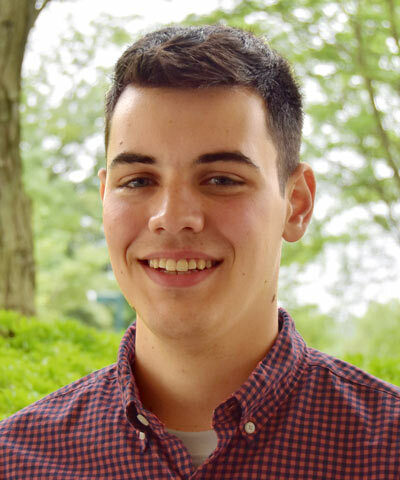 Michael will assist the staff in researching best practices and benchmarking programing with sister societies as well as in the development of content. Michael will support the development of our Student Leadership program curriculum which engages over 250 students from 61 countries. He will have the opportunity to learn about an international scientific nonprofit organization and the many departments and programs OSA supports. This includes the OSA Foundation, Outreach Programs and PR/Social Media. This summer I worked at The Optical Society (OSA) helping to redesign, update, and relaunch their Optics for Kids website. My main summer goal was to review all the material on the site to ensure that the content was up to date the physics was correct. I had a stretch goal of creating new web pages focusing on resources to help elementary, middle, and high school teachers teach optics. While I only made small progress towards my stretch goal, throughout the summer I picked up other smaller projects that I not only enjoyed but also greatly helped my own professional development. These projects included blogging on different incubators, which are small conference style meetings of focused and niche physics topics, and blogging on the OSA Innovation school, a four day school where students learn to harness their entrepreneurship and innovation to create new products for their business. OSA was great about picking projects that would not only interest me, but also help me grow as a young professional. I will graduate with a Bachelor’s of Science in Physics from Oregon State University (OSU) in June of 2017. During my senior year, I was the treasurer of both the OSU Society of Physics Students and the ΣΠΣ honors society. I have conducted research with Dr. Janet Tate on thin-film semiconductors about the thermoelectric properties of novel alloys and their structure, which I probe with Raman spectroscopy. My undergraduate thesis was on the ‘Thermoelectric properties of the heterostructural alloy’. I am a co-author on ‘Structural, electronic, and optical properties of the heterostructural alloy’ which is under review in the Journal of Materials Chemistry A. After my SPS internship, I will take a year off from school to work, then plan to enroll in graduate school in the fall of 2018. I plan to study physics education research. I am interested in how people learn physics and what it means to think like a physicist. This was inspired by my work as a learning assistant for the yearlong ‘Paradigms in Physics’ program, which is the junior year physics sequence at OSU. Week Three: Pride, End of Finals, and a Murder Mystery! Week 1: Moving to DC!